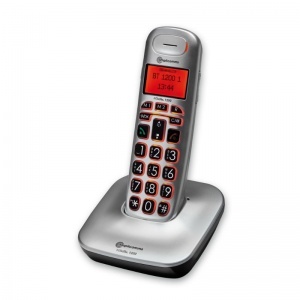 The Amplicomms BigTel 1480 Cordless Phone and Desk Unit with Answering Machine pack combines extra-loud volumes and easy-to-read screens to offer an optimal telephone experience for most users. Settings can be altered to suit the needs of each individual, with amplified volume and backlit keys ideal for hearing and visual impairments respectively. 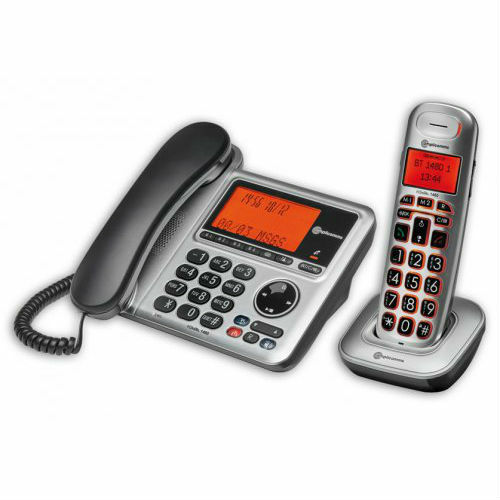 As the BigTel 1480 comprises both a cordless phone with cradle and a corded phone, it can be utilised in a wide range of scenarios. For anybody who prefers to remain seated by the phone, and for those who may have trouble locating the phone when it rings, affixing the corded in one position will help ensure that it can always be found in the most suitable location. 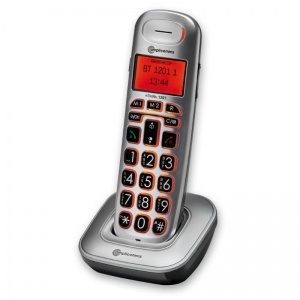 The cordless phone is ideal for carrying around the home. This is particularly useful for anybody who likes to keep busy during phone calls, and will also mean that the phone can be taken to the bedroom or similar, helping to ensure that help can always be called for from around the home. The phones are ideal for anybody with hearing difficulties, as they offer extra-loud volume settings. The ringer volume reaches 80dB, while the receiver volume provides up to 30dB of volume. Not only will this be useful for those who struggle to hear traditional telephones when in a different room in the house, but it will also prevent information during conversations from being misheard or misunderstood. Anybody with visual impairments may benefit from both phones, as they include amber-backlit LCD display screens. They are easy to read, allowing both incoming calls and dialled numbers to be easily identified. The larger size of the buttons makes it easier to dial numbers. This means that there is a reduced risk of numbers being incorrectly dialled, and will be ideal for anybody with reduced dexterity. The bigger buttons are also useful for those with visual impairments, as the numbers on each button are easier to read compared to those of traditional phone keypads.